ALNY, our weekly stock pick as a short play, has continued to wedge itself deeper into the very long-term triangle we identified over the weekend leaving this stock limited time to make a decision about which direction it wants to go in. Volume continues to show distribution and confirms what the shape of the triangle suggests: the next move will be down. 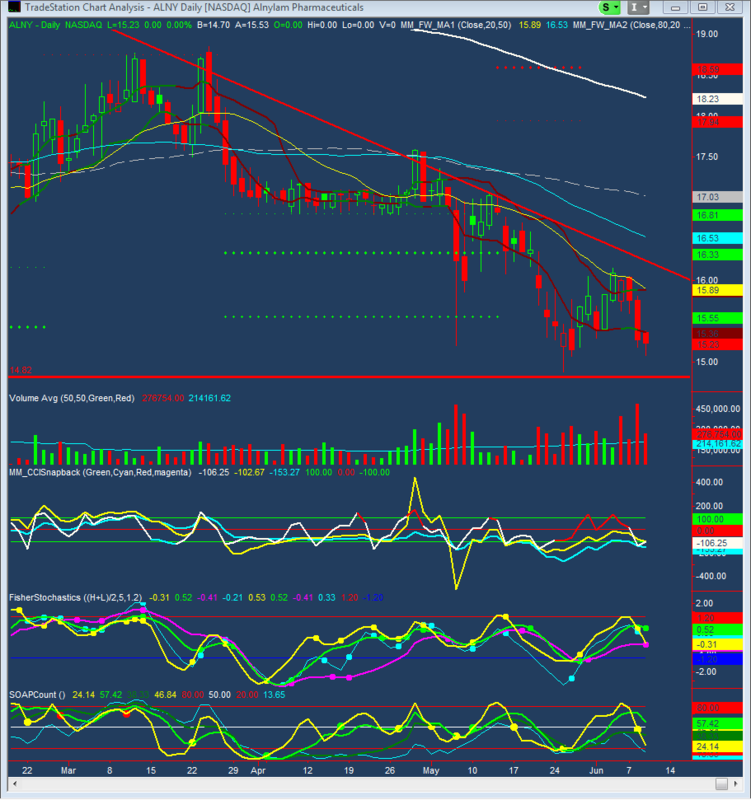 ALNY did show sell signals as it bounced from the daily 20 SMA and that could have been an entry. However, we’ll stick with a break of horizontal support suggested over the weekend. On a solid break below that level ALNY should have room to run.